Home » Health » What Is Arrhythmias? Bradikardia . Conditions when the heart beats more slowly or irregularly. Heart block. Conditions when the heart beats more slowly and can cause a person to faint. Supraventricular tachycardia . Conditions when the heart pulsates rapidly abnormally. Atrial fibrillation . Conditions when the heart beats very fast, even when resting. Fibrillation of v entricle . The type of arrhythmia that can cause the sufferer to lose consciousness or sudden death from an excessively fast and irregular heartbeat. Consulting with a doctor is very important if symptoms appear as mentioned above. This is so that doctors can quickly diagnose the type of artemia experienced quickly and precisely. Imbalances of electrolyte levels in the blood. Electrolyte levels such as potassium, sodium, calcium, and magnesium can interfere with the conduction of electrical impulses in the heart, thereby increasing the risk of arrhythmias. Drug use. The use of illicit drugs such as amphetamines and cocaine can directly affect cardiac performance, increasing the risk for ventricular fibrillation and other types of arrhythmias. Drug side effects . Some of the over-the-counter cough and cold medicines in pharmacies can increase a person's risk for arrhythmias. Too much alcohol. Excessive consumption of alcohol can affect the electrical impulses of the heart, thus alerting the risk of atrial fibrillation. Too much caffeine and nicotine consumption (smoking). Caffeine and nicotine cause the heart to beat faster than normal, and may contribute to the occurrence of arrhythmias. Disorders of the thyroid gland. Overactive or underactive thyroid gland can increase the risk of arrhythmia. Obstructive sleep apnea . This disorder, in which breathing becomes disturbed during sleep, may increase the risk of bradycardia , atrial fibrillation, and other types of arrhythmias. D Diabetes . In addition to warning of the risk of arrhythmia, uncontrolled diabetes is also able to increase the risk of coronary heart disease and high blood pressure . Hypertension or high blood pressure . Hypertension will cause the left heart wall of the heart to thicken and become stiff, so that the heart's electrical flow will be disrupted. Coronary heart disease, other heart disorders, or a history of heart surgery. Narrowing of the arteries of the heart arteries, heart attacks, heart valve abnormalities, heart failure , and other heart damage are risk factors of almost all kinds of arrhythmias. Echocardiogram. To evaluate the function of valves and heart muscle and to detect the cause of arrhythmias with the help of ultrasound sound waves . Electrocardiogram (EKG). To record electrical activity in the heart by attaching electrodes to the skin surface in the chest. Heart Attendance Train Test. Patients will be asked to perform physical exercise, such as pedal a static bike or walk on a treadmill. Then the patient's blood pressure and heart rate were examined through the monitor. This method of diagnosis is combined with an electrocardiogram. From this test, the doctor can see how far the level of order of heart rhythm before changed by the influence of physical activity earlier. Monitor Holter. How it works is not much different from the electrocardiogram. But the difference, a tool called Holter monitor can take the patient home to record his heart activity during his daily routine. Electrophysiological studies. The location of the arrhythmia and its causes can be determined by using the electrical impulse distribution mapping technique in the heart. The doctor will insert a catheter with an electrode to several blood vessels in the heart. Electrophysiological studies can also be used similarly as pressure-testing methods, by stimulating the heart to contract at a rate that can trigger a rate change by using the electrode. Cardiac catheterization. This method uses the same tools with electrophysiological studies, the catheter. But on cardiac catheterization, the examination is done with the help of a special dye and X-ray to determine the condition of some parts of the heart such as chambers, coronary, valves, and blood vessels. In some cases, doctors can easily diagnose arrhythmias through ordinary heartbeat examination. 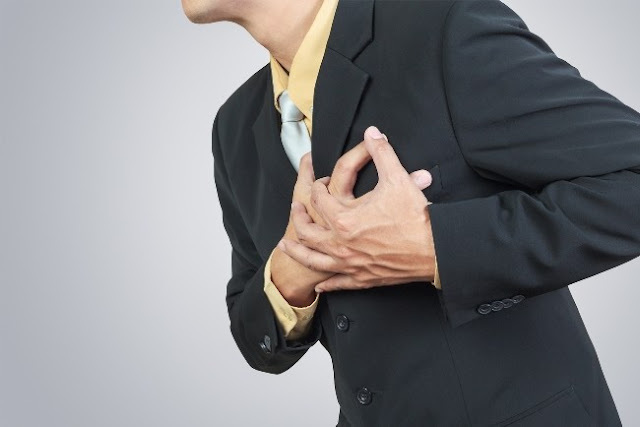 However there are some conditions other than arrhythmias that also have the same symptoms. To ensure patients suffer from arrhythmias and their causes, more detailed tests should be performed. The results of the diagnosis will facilitate the physician in determining the appropriate type of treatment. Drugs, such as beta-blocking drugs that can keep the heart rate normal. There are also anticoagulant drugs such as aspirin, warfarin , rivaroxaban, and debigatran which decreases the risk of blood clots and strokes. Heart trigger and impl antable cardioverter defibrillator (ICD). To keep the heart rate normal in certain arrhythmia cases. This tool is installed under the patient's upper chest. When it detects a heart rhythm change, it sends a short electric shock to the heart to stop the abnormal rhythm and make it back to normal. Cardioversion. If a case of arrhythmia can not be treated with medication, cardioversion will be performed. The doctor will give an electric shock to the patient's chest to make the heart rate back to normal. Electric cardioversion is usually given in case of atrial fibrillation and supraventricular tachycardia. Ablation method. To treat arrhythmias where the cause is already known. The doctor will insert a catheter with an X-ray guide through a blood vessel in the leg. When the catheter finds the source of the heart rhythm disturbance, the small appliance will damage the tiny part of the heart tissue. Not indiscriminately taking the drug without a hint of drugs from doctors, especially cough and cold drugs that contain stimulants trigger heart beat fast. Limit consumption of booze and caffeine. Do not smoke and exercise regularly. Complications occur when arrhythmias make the heart unable to pump blood effectively. If the arrhythmia is not treated promptly or does not get proper treatment, then in the long term the patient may experience heart failure, stroke, and even lead to death. 0 Response to "What Is Arrhythmias?"